Snooth is a wine review site that previously covered only the US, but recently launched worldwide and now displays information from sellers in 40 countries. Having partnered with Globalwinestocks.com, the site now provides price information from 3,000 wine merchants and 5,000 producers. Snooth (a made-up word) now has a database of over 200,000 wines around the world. Snooth has a visually appealing and intuitive interface. Users can start their search for a wine via a simple search box, entering wine make, type of grape, and so on. Results are ranked by average rating, which makes it easier to pick a good bottle. 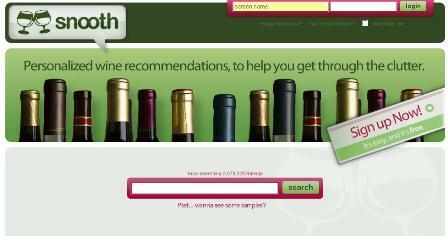 A search for something like ‘Rioja’ will produce thousands of results, but Snooth has provided some useful filtering options to help people narrow their searches. So far, so good, but the site does have a few usability flaws. You need to reselect your filtering options for each different search, which can be annoying. Also, prices on the searches and wine product pages are displayed in dollars, and only change to GBP once you have clicked the ‘buy it now’ link. Snooth claims to have over 1m page views per month and makes money via affiliate partnerships with wine merchants. Users that wish to buy wine via the site are redirected to the relevant merchant. 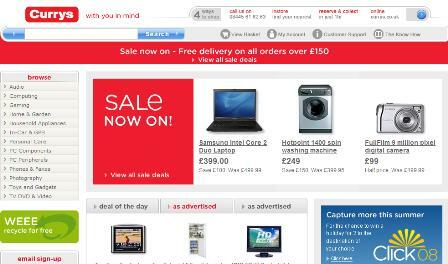 The site also claims that its conversion rate of clicks to sales is over 5%. Thanks to the impressive range of wines and merchants, the site is a very useful way of finding a good bottle of wine. From a UK perspective, it will be much better once there are more reviews and user ratings available but, a couple of usability problems aside, it is an excellent resource. It’s hard to think of too many competitors for Snooth. Love that Wine in the UK provides reviews and ratings but is far less appealing, while SupermarketWine, another UK site, does a better job of aggregating reviews and ratings for wines from supermarkets and off licences. Dela Quist explains how new ways of measuring email performance can boost ROI and give you a new perspective on your email strategy. Find out how customer-based metrics could transform your campaigns. Currys has been in the news recently with DSG International announcing the closure of 77 UK stores, a reflection of the ongoing shift in consumer buying trends as more shoppers buy electronics products via the internet. Viewzi offers an alternative to the traditional text view of search results. It recently launched in beta, so we’ve taken a look.